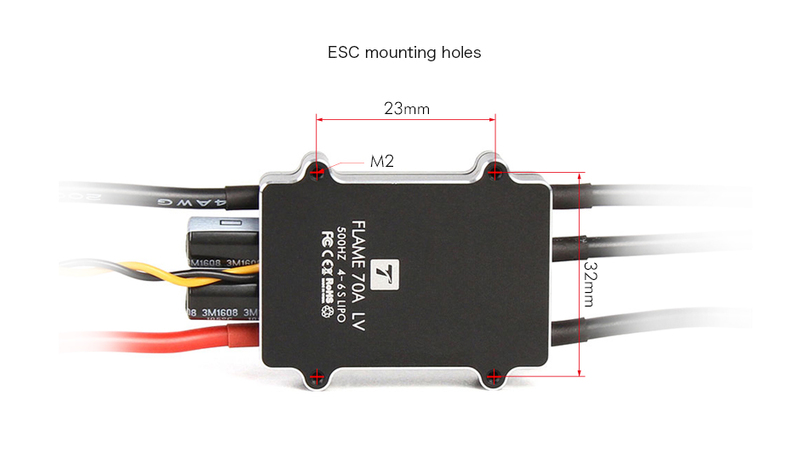 This T-motor 70A 6-4S Flame Type ESC featured with efficient and reasonable dissipation, layered structure. 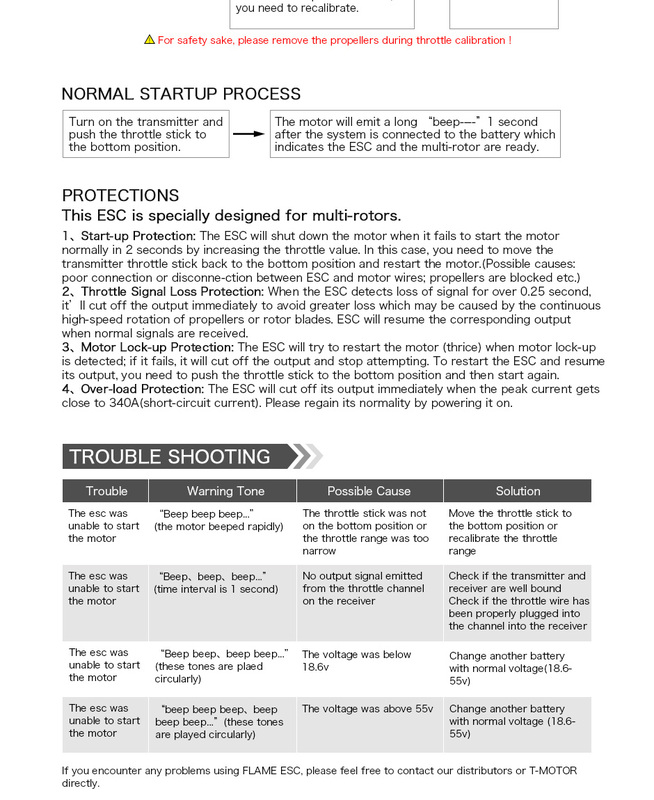 Compatible with U12 Motors and specially designed for multi-rotors. 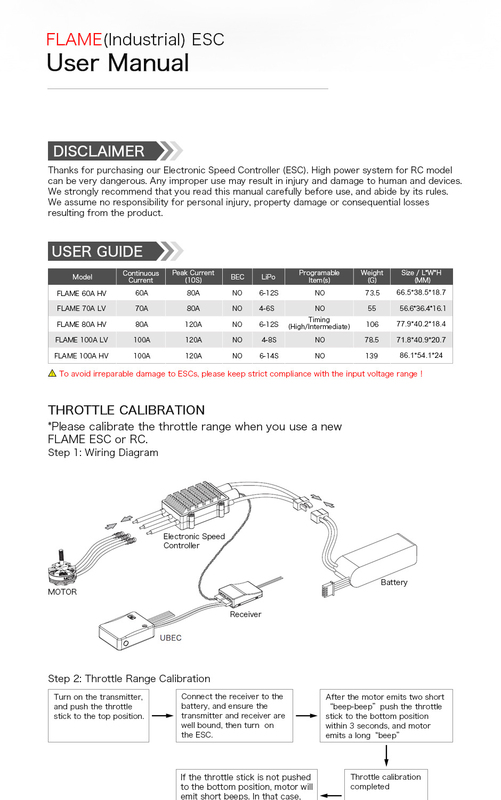 Tiger Flame ESC can give continuous current of 70A, peak current upto 80A (10S).